Teesside Tornado Richard Kilty is looking forward to his return to competitive action this weekend as he opens his season at the Sainsbury’s Glasgow International Match, writes Marios Papaloizou. 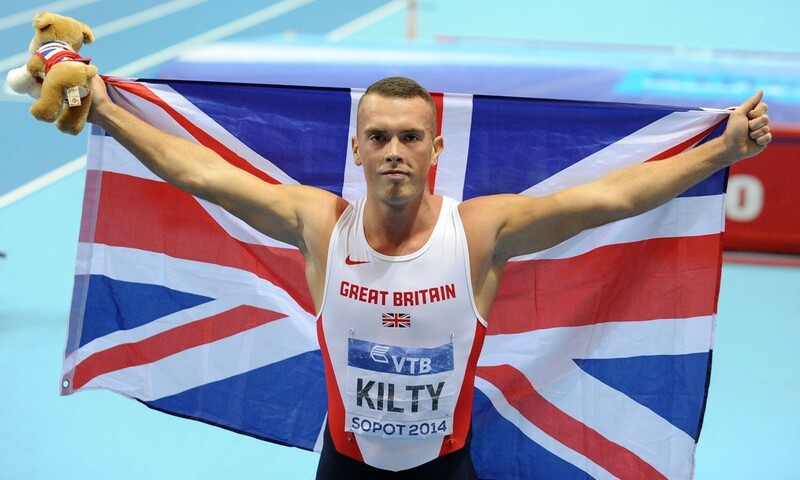 Kilty claimed world indoor 60m gold in Sopot, Poland, last March in a personal best time of 6.49 seconds. That was followed by further medals for the 25-year-old as he won European sprint relay gold and Commonwealth silver in the 4x100m event. However, while major individual outdoor success has eluded him so far, Kilty believes he can make a real impact in 2015. That all starts in Glasgow’s Emirates Arena on Saturday and the Gateshead Harrier is ready to shake off the cobwebs. “I opened up with 6.68 last year which wasn’t a time that set the world on fire but it’s all about self progression so if I can run quicker than that and take the victory then that would be good for my confidence,” he said. While Kilty’s main goal this season will be to make an impact during the outdoor season, he knows how vital it can be to find form on the indoor track. And, with the European Indoor Championships looming, he says he is taking nothing for granted when he steps out in front of the Glasgow crowd this weekend. “My training has been focused on the outdoor but for now I’m just taking each race as it comes and if I feel I can go out and win a medal at the Euros then great,” he added.